Present state: The station site is now occupied by Robson & Cowan agricultural merchants who have erected a number of buildings in the goods yard. The platform is largely intact although it has been infilled at the west end. 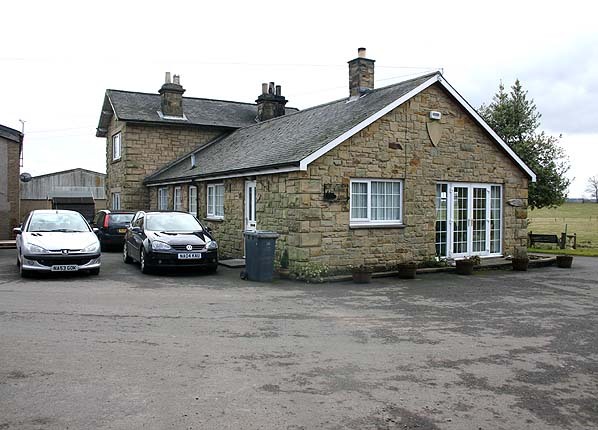 The station building and station house are in good condition and are now a private residence. A small woodenbuilding stands at the west end of the station. This is original and was, perhaps, the lamp room. There is a small replica Scotsgap 'totem' sign fixed to it. Notes: The station opened as Scots Gap on 23rd July 1862 being renamed Scotsgap in October 1903. The station was poorly equipped as a junction with no branch bays and a single platform on the down side. 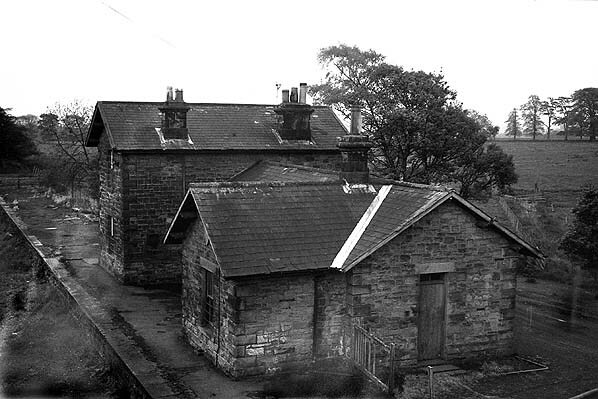 The station building was solidly built of local stone with a stone signal box at the east end. 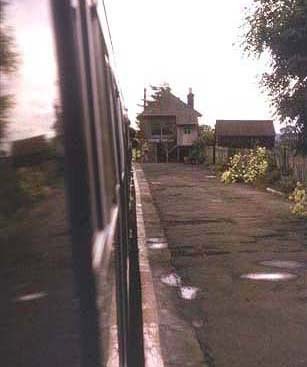 The station had two parallel loops with two sidings on the north side. There were three short spurs, one serving a locomotive turntable. The outermost siding served a goods platform and cattle dock and a goods warehouse. The map below shows the Rothbury branch bearing away some distance from the station. 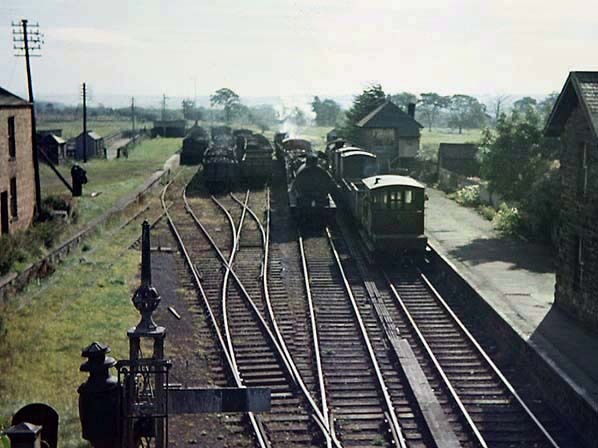 The junction was actually in the station and the two lines (the Wansbeck and the Rothbury) ran as two separate lines side by side to the point where the Rothbury branch turned away to the north. 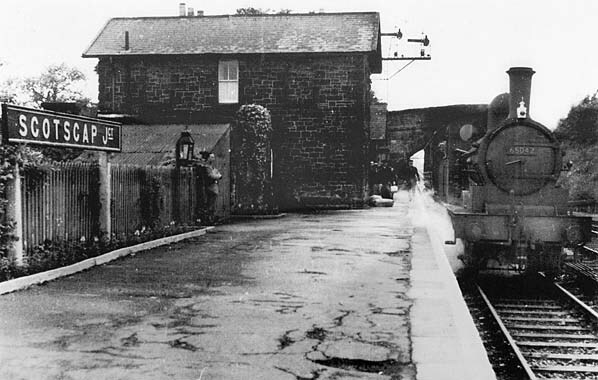 The station closed to passengers on15th September 1952 and to goods on 3rd October 1966. 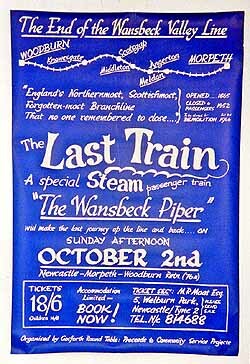 Although the branch was of some benefit to the local community it was a disappointment to the promoters failing to bring expected profits and in July 1872 the North British Railway absorbed the line. The NBR made a number of improvements. Rothley Station was renamed Longwitton and opened to the public in April 1875 and the terminus at Rothbury was substantially improved. A number of sidings and branches were build to serve line side industries and collieries. 13th September. The branch remained open for freight with occasional passenger excursions. 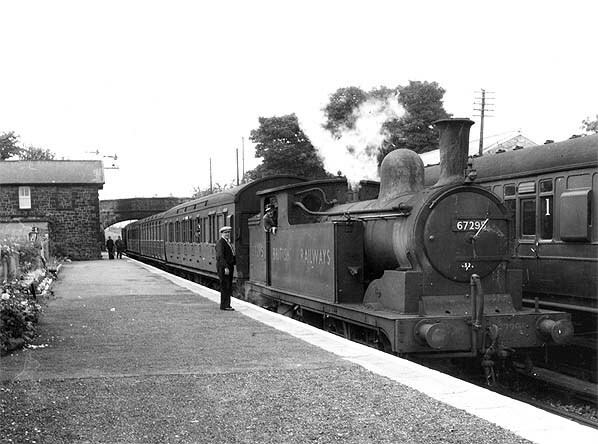 The final steam hauled enthusiasts special visited Rothbury on 9th November 1963 and the freight service was withdrawn two days later. The very last passenger train was a private diesel working in July 1964 carrying members of the North Eastern Region’s Chief Civil Engineering staff on their annual office outing. The track was lifted later that year.